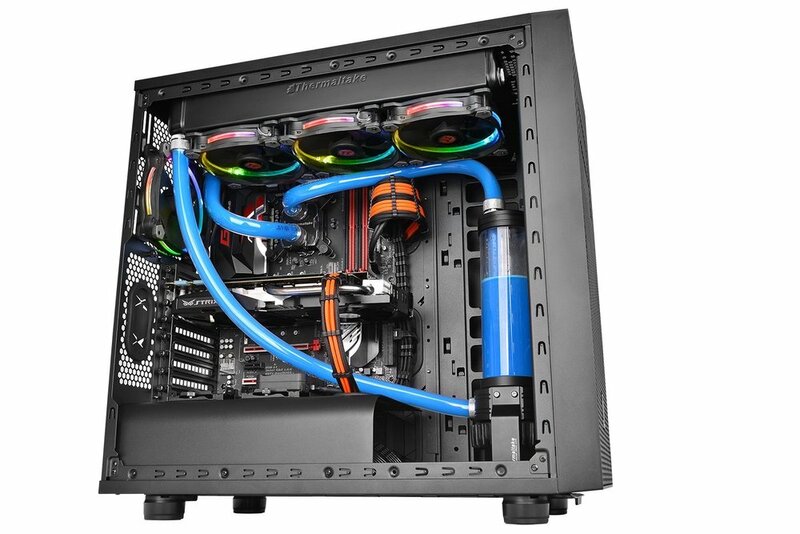 If you aren't the novice PC builder who just so happened to stumble upon this post then I'm assuming you have no vague idea what a water cooling setup looks like within a computer, or how it operates. If you are one of those individuals, then you found yourself in right place, let the knowledge dropping begin. 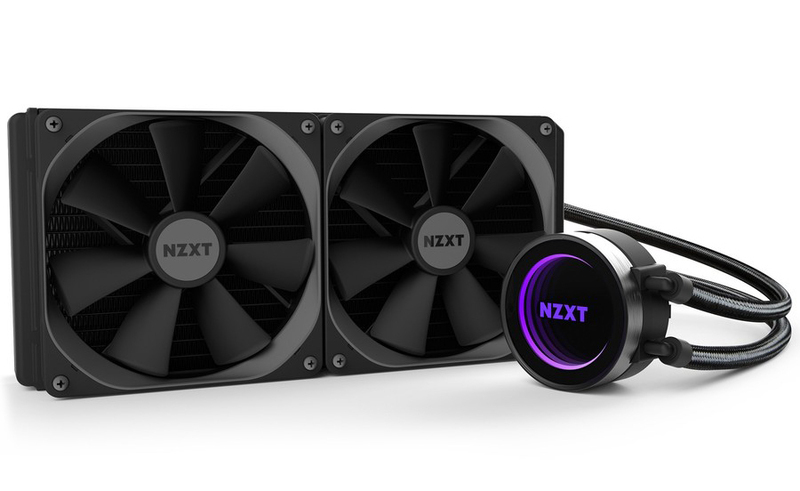 Water cooling functions similar to what you have with a heat-sink and fan. The primary goal still is to draw heat away from the processor, but the setup is quite different, there's the radiator which have a fan attached, a long tubing that flows a special liquid coolant that runs directly onto a water block which you then place right on top of the processor. Installing heat-sink and fan is a simplified task, basically all you to do is (carefully) place the heat-sink directly over the processor and then attach the fan onto heat-sink. Requiring power source you then need to connect the fan power cable to a CPU fan header that's embedded on the motherboard. Like a said, a very simple task. The sum of all parts, the radiator, pump, tubing, reservoir, and fan. With water cooling setup, you're dealing with a whole different animal altogether. You have to contend with a network of tubing which flows the liquid that's connected to a radiator and fan which moves heat from liquid to air, then there's the pump which moves the liquid, and finally there's the reservoir, it filters air from the liquid and stores excess coolant. So yes, you have a great sum of parts to deal with. There is the pros and cons in using a water cooling setup, first the pros. Water transfers heat more efficiently than air. Also you'll have improved acoustics as liquid cooling will enable a quieter system even under heavy workloads, canceling out the need to stuff your PC case with a bunch of fans. Cooler temperatures will also be sustained over a longer period of time. Then there's the issue with space, a much larger heat-sink and fan will definitely perform well comparable to some water cooling apparatuses, but expect a depletion of space within your PC case, there are some after market coolers that are so large you can barely install certain key components into your PC, such as your RAM and graphics card. The cons though, yes there is the con as custom water coolers constantly need regular maintenance and can potentially leak as gaskets and seal can wear out in time. Then there's the money aspect of it all, implementing a water cooling can be quite expensive, ranging in cost between $200- $500. You can though as a option go with the close loop solution which is cheaper in price starting at $60. Quick note, there are close loop water coolers who's price do exceed over $200. This right here is a close loop water cooler. Speaking of which, close loop water coolers is the best option if you don't want to contend with excessive tubing and that oversize reservoirs. Close loop water coolers operate the same as the much bigger water cooling setups. You have the pump which is positioned on top of the CPU and it to circulates fluid through a soft tubing. Heat is then transferred from the CPU to the liquid via copper plate which is on the base of the pump. Importantly, less maintenance is required when using a close loop water cooler.